Do you guys have any favorite go-to desserts? You know those sweet treats that just never let you down and you can’t ever get enough of them? For me it is absolutely Sugar Cookies!! 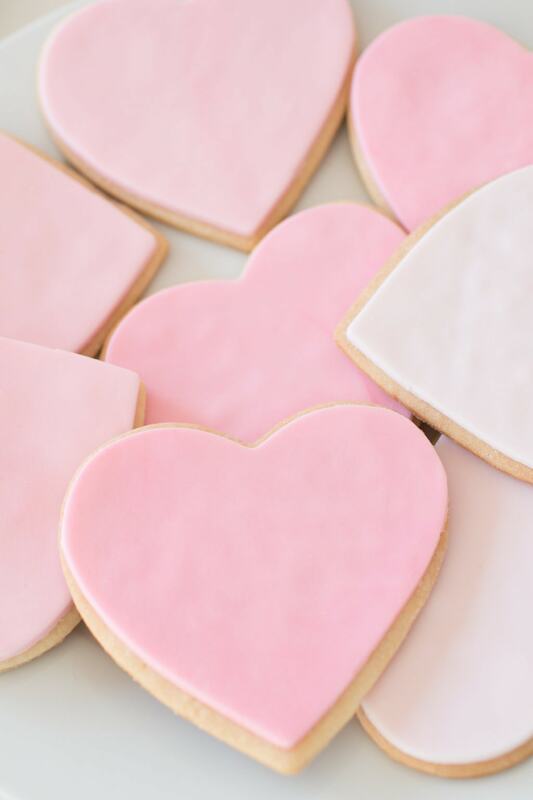 I know Sugar Cookies don’t sound like the most glamorous thing in the world, but they are so under appreciated! A quality Sugar Cookie works for seriously every occasion! They can be decorated to match the theme of any party or event, they can be cut into any shape for holidays, and are so easy to make that you can whip up a batch whenever you want! I have used Sugar Cookies for Christmas cookies, Baby Shower cookies, and even snuck a batch in to the movies with my mom once! Obsession is definitely an understatement! 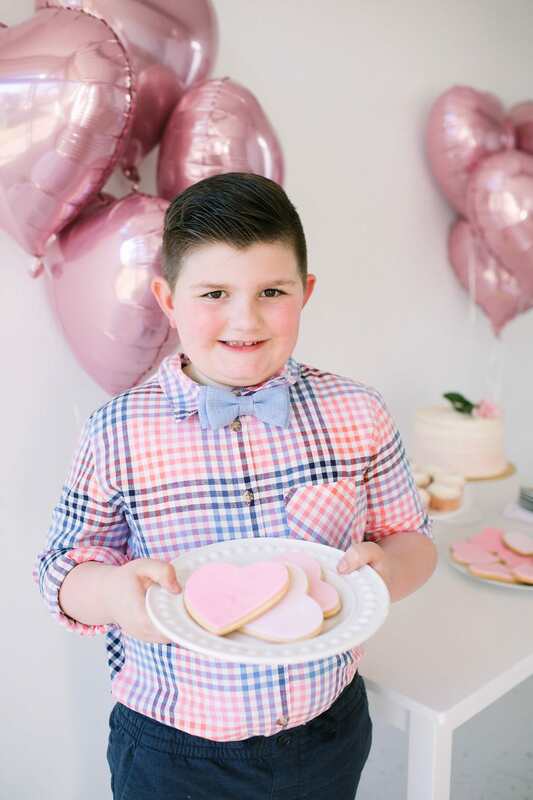 I’m sharing Ashley’s recipe below so you can replicate these amazing cookies whenever you want! 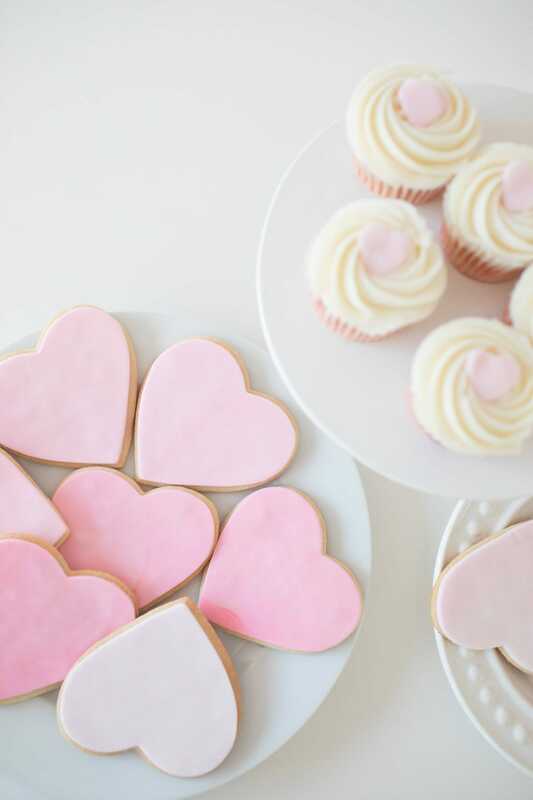 For the party, she cut hers into large hearts and then filled them with deliciously sweet royal icing in different shades of pink! She was totally speaking my language! 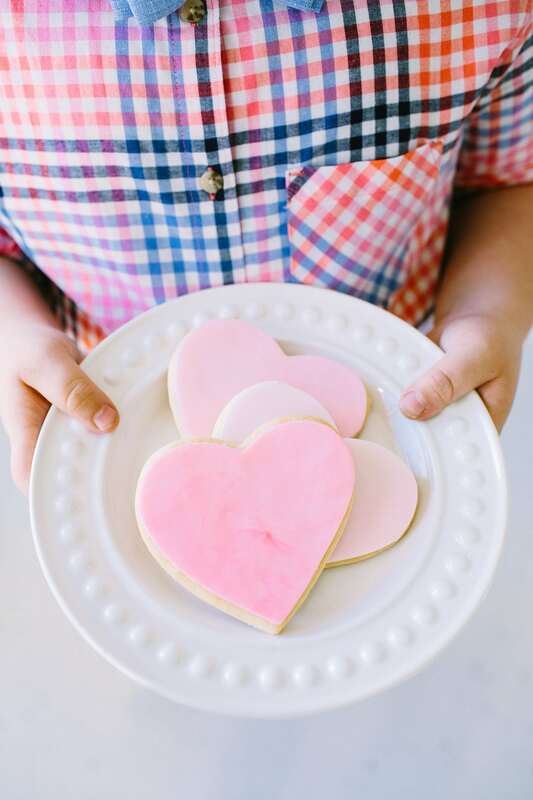 However you want to decorate them, these cookies are always a win! Add the salt, baking powder, and flour to a medium sized bowl and whisk together; set aside. In a stand mixer with a paddle attachment, cream together the butter and sugar on a high speed until fluffy and light in color. Add the eggs and vanilla to the mixer, only mixing until combined. Add in the dry ingredients in two parts; adding half of the mixture at a time. Wrap dough in two packs using plastic wrap and chill for 1 hour or overnight. When the dough is ready to be rolled out, pull one sugar pack at a time from the fridge and sprinkle the flour on your workbench as needed while rolling to help with the stickiness. Roll the dough to ¼ inch think and use any cookie cutters you’d like! Once cookies are cut into the shapes, let them chill in the fridge again for at least 1 hour (I froze mine overnight). Bake the cookies at 325 degrees for 12-17 minutes, depending on the size of your cookies; you’ll want them slightly golden brown around the edges.